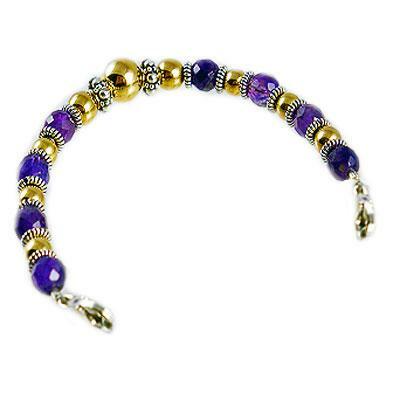 Add a touch of pure drama with this Amethyst and Gold filled bracelet which evokes a romantic, poetic spirit. Bali silver rope stations alternate between approx. 6mm genuine Amethyst gemstone rounds and 6mm14k gold filled seamless rounds. Larger center 14k gold filled round is flanked by gorgeous Bali silver crowns.